Our sublimated single side short basketball uniform is, by far, our most popular uniform. And there’s plenty of reasons why! If you’re looking for a new uniform for your team at an affordable price, then this uniform is for you. Custom-made sublimated uniforms always give your team a professional and polished look. They’re one of the best ways to make you stand out on the court. Furthermore, they give players confidence and intimidate rivals. Amateur teams, especially, benefit greatly from getting matching, custom-made sublimated single side short basketball uniform sets! With this set, you get a useful and professional-looking sublimated reversible basketball jersey. Because the jersey is reversible, you won’t need two jerseys for your games: one for when you play at home, and one for when you’re away. All you have to do is flip the jersey inside out and that’s it! On one side, you have your away colors, while on the other you have the home colors. It’s simple, cost-effective, and takes up less space in your wardrobe and locker. The fabrics we use are high-quality, they sit comfortably on your skin, let you breathe even during the toughest games, and stay soft for a long, long time. With our sublimated reversible basketball jersey and short set, you will feel stylish and comfortable. There’s no need to choose one or the other! All uniforms are available in both men and women’s cuts. We carry all sizes from YXXS to A5XL. The standard length of our shorts is 9” for youth sizes and 11” for adult sizes. If you need the length to be adjusted, we can arrange that at no extra charge. All our shorts have a durable and high-quality elastic drawstring waist. This means you can change the fit of the shorts however you’d like, so it’s the perfect fit for you. 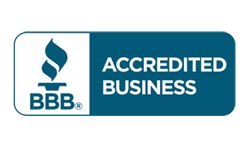 We only use high-quality fibers from providers we trust. Our single side standard sublimated basketball uniform fabric is made of smooth microfiber interlock or of birdseye flatback mesh. These jerseys are fully reversible and can have a different color or design on each side. 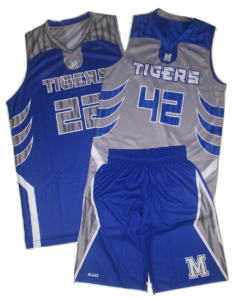 Getting a sublimated single side short basketball uniform is a great investment for all dedicated teams. No matter what gender or age group your team is, you’ll still find that these reversible jerseys are ideal for you.